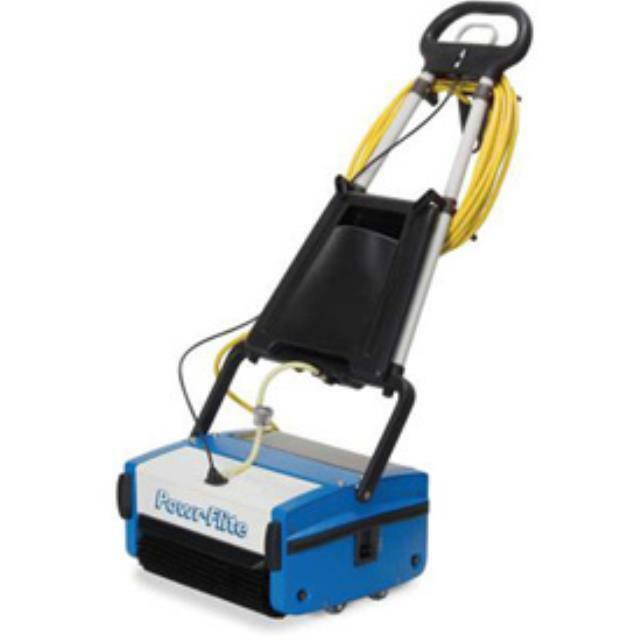 Automatic scrubber gives outstanding results in a single pass on most types of hard floor coverings leaving wood, VCT, studded rubber, linoleum, marble, granite, stone, quarry tiles, ceramic floors and non-slip safety floors ready to walk on in minutes. This all in one machine can also be used on soft floor coverings including woven and non-woven short pile carpet and carpet tiles. Powr-Flie scrubber is perfect for use in retail stores, restaurants and food preparation areas. Offers quiet, high quality cleaning performance, versatility, ease of use and durability. This machine will wash, mop, scrub and dry in a single pass on virtually every kind of floor even escalators and entrance matting. * Please call us for any questions on our multiwash micro automatic scrubber rentals in Toledo OH and Perrysburg OH, serving the Toledo metro area.